The Jerven Bag Original is a windproof, waterproof and versatile shelter for hunters, nature watchers and photographers. Primarily designed as a protective poncho for use when hunting, the Jerven Bag is equally suited as a windsack when sitting outdoors, a rain cover for you and your rucksack when hiking, an emergency tarp-style shelter, or a sleeping bag cover. Its versatility and thoughtful design are just two of the reasons why Ray Mears has become a fan of the Jerven Bag. Jerven have produced a number of different models of their Jerven Bag or 'Fjellduken' as it is known locally, including the Hunter, Extreme and King Size. This, the Original Jerven Bag, is the lightest of all four models thanks to its single layer design. At only 650 g, the Original Jerven Bag is best suited for the small game hunter, fisherman, hiker or outdoorsman who needs protection from the elements without being weighed down. The wind and waterproof outer is adorned with a complex mountain camouflage pattern, helping the wearer to blend in with a variety of environments while keeping them protected from the elements. 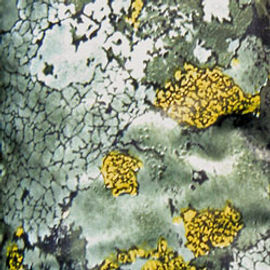 The Jervenbag Original - Mountain Camo is rated 5/5 based on 6 customer reviews. I have been meaning to add the Jervenbag original mountain camo to my kit for a couple of months, I am so happy I have it now. Top quality, looking forward to testing it out on a trip to Brecon Beacons in a couple of weeks time. As always the service you get from the Woodlore team is tops. Happy Days. I am very impressed with the Jervenbag. The reason I bought the Jervenbag Original was to have a lightweight adaptable shelter and poncho for the very changeable conditions in upland environments, such as the Scottish highlands. It complements waterproof clothing which I continue to wear if walking or conducting activity in poor conditions. 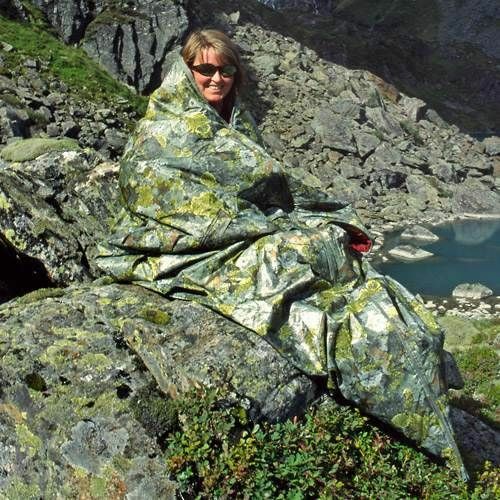 As a poncho the Jervenbag provides quick shelter when stopping for food or observing wildlife. It's easy to put on over all of your kit, including a large (40 ltr) day sack, protecting you from wind and rain fast. The arm openings allow you to continue to use your hands outside the poncho, this helps when using a compass, binoculars or passing equipment to other people. The mountain camouflage works well in the Scottish uplands and makes an ideal hide for nature watchers or temporary shelter for shooters. Military users would find it ideal when used on those inevitable stops during tactical foot moves in poor conditions or for long halts such as standing patrols. As a tarp it's large enough for solo use, but certainly could shelter 2 people at a squeeze. The Hunter or King Size versions of the Jervenbag would be better tarps but I think may be less practical as a poncho due to the volume of material. I haven't yet used the sleeves, but definitely see their uses. The carry case is excellent for attaching the Jervenbag to the outside of a day sack for quick access in the rain. Alternatively I have attached it to a thin nylon belt under a large wool coat in cold weather that is not (yet) raining. I'm 6 foot tall and the Original comes down to my knees when worn as a poncho which allows me to continue to move about in it easily. It had plenty of room for use as a Bothy bag. Even with my day sack inside I can sit in it comfortably. The price certainly made me think twice before buying it, but I am glad I did. I have used it half a dozen times since buying it in September (2016) and base this review on those outings and 20 years of outdoor experience. It is Well made, lightweight and really robust, it's so adaptable I now tend to take it whenever out and about. After much deliberation I ordered the Jerven Original. I spend a great deal of time outdoors and as such, I require high quality multifunctional kit. The Jerven Bag is a bomb proof item that gives me a lot of flexibility. I have already used it on two occasions. The first as a lean-to temporary shelter during a meal stop and secondly as a warm shelter from heavy rain while out in the forest with my young daughter. Bottom line, the Jerven Bag is a superb item that should be in every outdoorsmans' pack. Its versatility is second to none and I'm certain that it will outlast every tarp I have! What a great piece of gear! I didn't fully understand the versatility of the Jerven Bag until I got my hands on one. Worth every penny and shipping from Ray Mears Bushcraft was very prompt. Highly recommended. As a Biologist-Botanist, I was serching for versatile gear that I can bring with while working outdoor, sometime in remote areas. I foud it ! The Jerven Bag will be with me everytime I will be out and even when hunting too ! Before buying, I found some sparce info on outdoors forums. One complaint was its high price. Well, from all my reaserch, the Best price I found was here and from what I have tesed so far, the workmanship quality and the warranty well worth it, considering that it can saved your life in case of emergency. I hope Ray Mears will offer all Jerven product: I will ask them to also offer the Exclusive model as I will need a larger and insulated model. I wish I had this shelter / camo cover years ago. I have used many types of basha (unfortunately I cannot use my Jerven for work) and this one is fully waterproof, robust and fairly light. The fact is doubles as a camo cover when hunting and as a bivi bag makes this a prime piece of equipment in the Rockies.